Congratulations to all of the graduating homeschoolers! 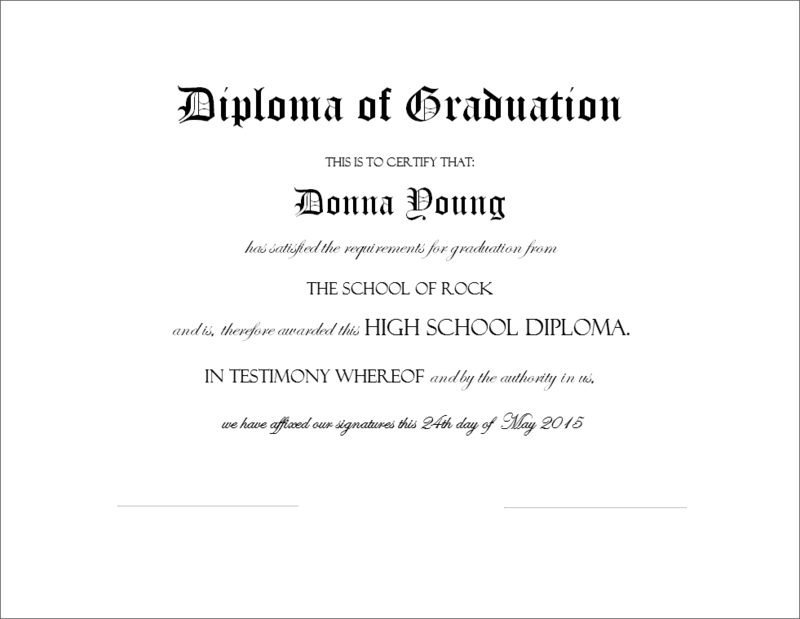 As usual I am offering downloadable and printable diploma forms that can be used for homeschool graduation ceremonies. The diplomas come in three formats: Typeable PDF, doc, and rtf. The doc and rtf formats can be opened in a word processor (Microsoft Word and others) and customized for your graduate. Another choice is the pre-filled diploma that is at the bottom of the page and with it, you will type information into fields and click on a button. After that, you can choose which diploma file to download. The downloaded file will be in RTF format and it will have the information that you entered into the fields. This diploma was originally named "2012" after the year when I made the file, however; I've decided that the name is confusing. 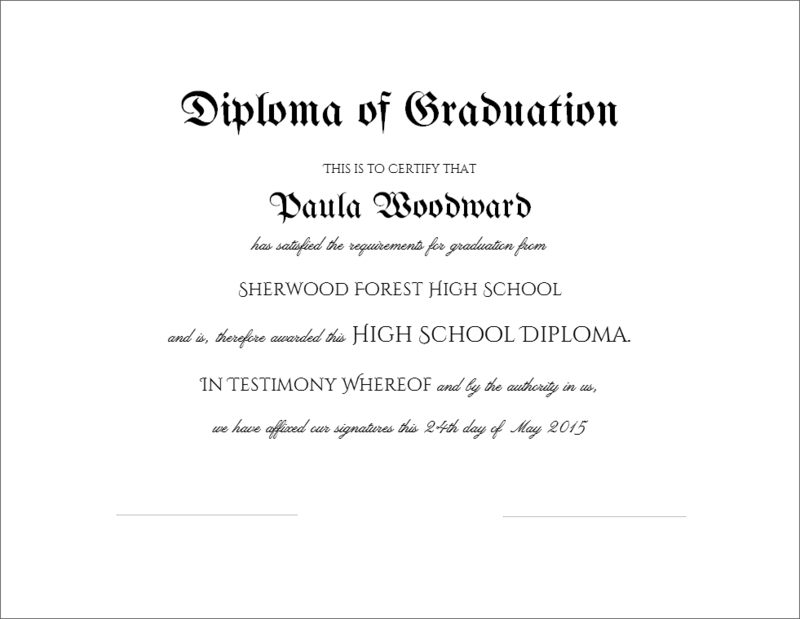 The fancy high school diploma is a typeable PDF. Fill in the student's name, the school's name and, if applicable, signature titles (such as administrator or instructor). The fonts that I used in the file should render properly. Any of the fields can be left blank. The date and signatures are to be written by hand. *Font Size: Auto-- If the font size is so large that the content will not fit in the fields, then try using the files named "Font Size: Auto". Typeable PDF's are meant to be typed on and then printed. You probably cannot save what you type unless you have Adobe Acrobat (Reader is not the same as Acrobat.) So - type and print. If you like how it looks, print it on nice paper. 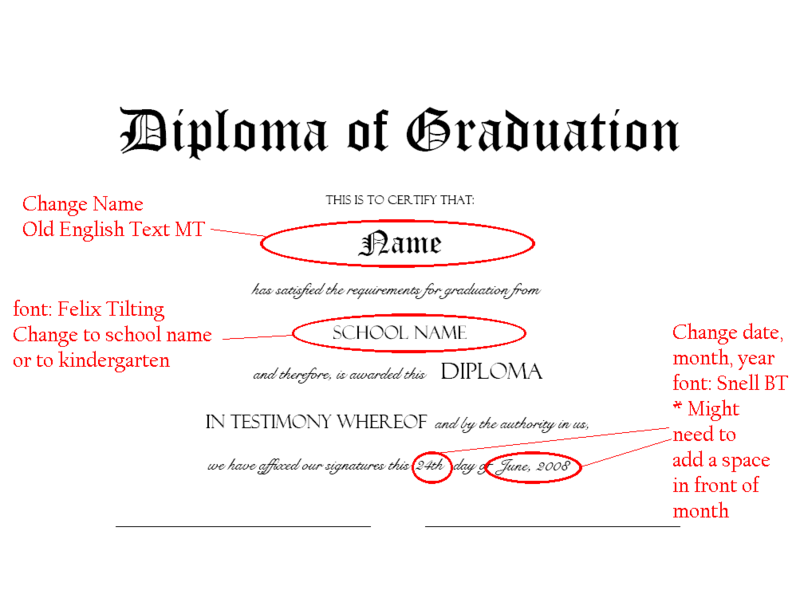 The fonts that you have on your computer will affect how the diploma looks. When you open one of the diplomas in your word processor, you will know right away if I used a font that you do not have. The diploma will look terrible. The fonts will have to be changed and if you do not have any suitable fonts, search the internet for fonts. This web page has an Old English Font. If the font issue is too much of a hassle, then try one of my two Typeable PDF Diplomas; it might work. The image below is a reduced and highlighted screenshot of the typeable PDF diploma. Click on the image to see a larger version and to see the notes that I made on the image and to see what the diploma says. The typeable PDF may or may not be compatible, see this blog entry: https://donnayoung.org/blog/dy-updates/diploma-time. About RTF- This feature will output a diploma in RTF format that MIGHT look like this - an image of the RTF diploma. First you must type information in the fields below. But first, some important details. This file, being a word processor document, will rely on the fonts that are on your computer. It is possible that you do not have the fonts that I used in this file and that will make the file look like something is wrong. This file uses the fonts listed below. If you do not have these fonts, you will need to replace the fonts with something similar. Alternately, I will provide a file that uses downloadable fonts. RTF II- The Alternate Diploma File, RTF II, will use the fonts that are in the file linked below. The file is zipped. You will need to unzip it and install the fonts. If you do not know how to do that, then use a search engine and find out. The Fonts - Download and install to your hard drive then select RTF II after submitting the form below. But first, this is what the RTF II diploma will resemble. If you do not like how this looks, then do not download the fonts. The fonts came from google.com/fonts. Fill in the fields below then press the "Select Diploma" button. At the next page, you will select either RTF or RTF II. The Kindergarten Diploma is a typeable PDF file. 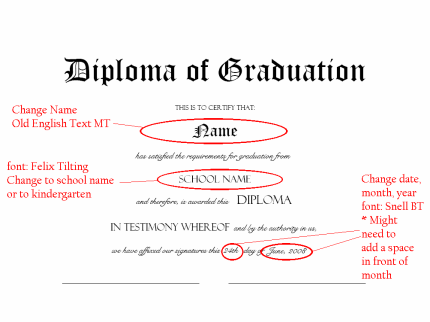 Type in the child's name and the graduation date, then print. C. Timer is a new timer. It's called C Timer after the columns. Each month is a contained timer with a cover sheet, enough 2-page spreads for each week, and ending with a lined, wide-margin paper. Brain Food, that is not its real name, but that is what we called it. 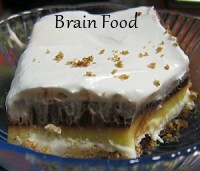 Brain Food is a layered pudding dessert, starting with a layer of cream cheese, placed over a baked pecan crust. We like it.